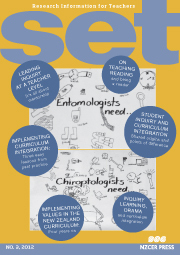 Connecting Curriculum; Connecting Learning was a 2-year research project conducted by the authors in conjunction with eight teachers across five primary schools in New Zealand. This article describes three case studies from this research project that used Mantle of the Expert—an inquiry-learning approach that incorporates drama. This teacher- and student-led approach sees participants going into role as members of an imaginary organisation carrying out an important commission for a high-status client. The teacher guides and supports, while the students are key content creators. The authors found that several curriculum areas were integrated, all four social science conceptual strands were addressed, and the processes used fulfil the best-practice evidence for effective pedagogy as described in The New Zealand Curriculum.